The Strand Theatre, a noted landmark on the historic Marietta Square in Cobb County, got its start as a major motion picture house in 1935. The Strand provided movie entertainment to thousands of people of all ages until it closed its doors as a movie house in 1976. 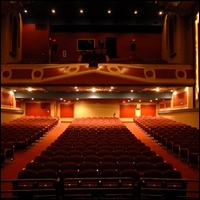 In 2002, community leaders explored the possibility of restoring The Strand Theatre. Shortly thereafter, the group was formally organized as Friends of The Strand, Inc. Construction was completed in November 2008, and the theatre opened to the public with the Atlanta Lyric Theatre's production of "Beauty and the Beast" on December 5. Parking: The Strand is conveniently located next door to the Cobb County Parking Garage (between Cherokee and Waddell streets). Parking is free to the public Monday through Friday after 5 p.m. and all day on weekends. During the weekday, parking is only $3 in the same parking garage. From the garage, cross Cherokee Street to reach The Strand Theatre.